Quality Assurance – C&M Manufacturing Corp.
C&M is dedicated to creating quality products on time and constantly improving its operations which leads to happy customers and employees. 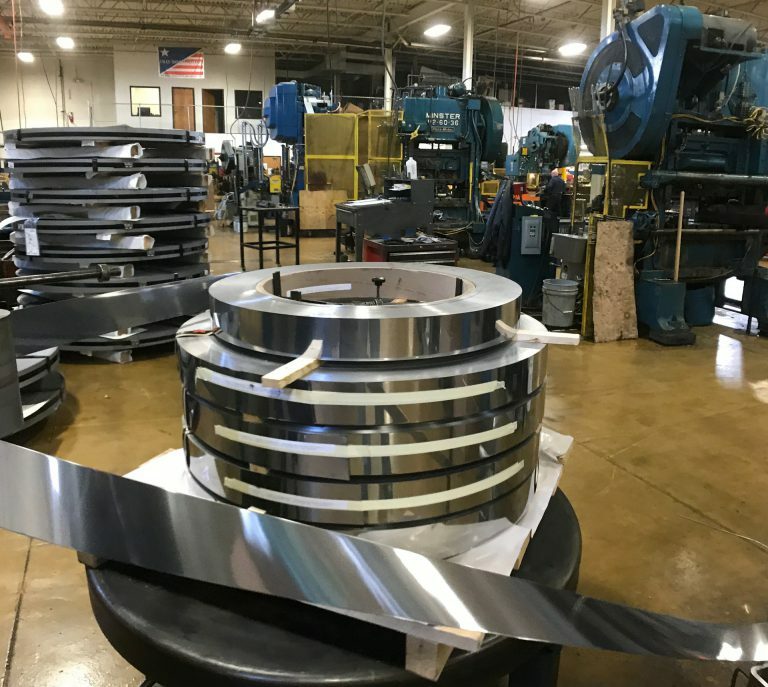 Known for “helping” customers C&M’s product Quality is implemented during the customers design or pre-production stage and integrated into our manufacturing process. During the APQP process potential quality concerns are identified, categorized and mitigated through the FMEA. Cross-functional APQP team implements actions to prevent potential quality concerns early in the process thus helping us realize our goal of zero-defect in our products and happy customers! Our processes do include in-press inspection of key dimensions or characteristics at given intervals and frequencies specifically designed from Process Control Plans. Product and Process Auditing and verification from our Quality Team is an important output to monitor our company’s quality levels and results are reported at our daily “Fast Response Meetings.” C&M’s product is fully traceable from raw material to finished product, unique number sequencing assures each lot is controlled. Our industry standardized Bar Code Labeling incudes this unique number even after it is shipped to our customer. Where applicable, C&M utilizes Statistical Process Control (SPC) as a tool to control the production process. 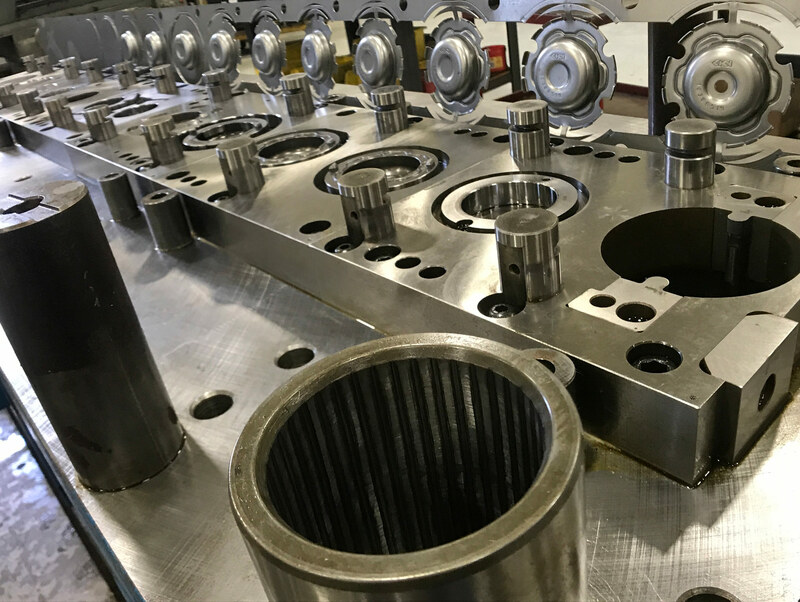 Using this technology we can ensure critical tolerances are held consistently throughout even the longest production runs. Functional gauges are designed and built per part print and Geometric Dimensioning and Tolerance (GD&T) requirements. All significant and critical characteristics are included in the gauge design. C&M Manufacturing is currently ISO 9000:2015 compliant. Our current PPM level at our customers is considered outstanding with our customers, consistently meeting or exceeding their requirements on both product Quality and Delivery. C&M’s Quality team supports the production processes throughout product life from the pre-production to service to ensure an exceptional product without fail. Enhanced off-line inspection such as GP-12 is built into PPAP assuring all potential risks are removed prior to getting to our customers. Our Preferred Supplier List depicts external contractors such as heat treaters, platers, parts finishers, coaters who are consistently monitored for product quality and delivery performance. Many of our contractors have years of experience and knowledge, also well known throughout the industry. This translates to an extremely high quality product economically priced.